As the population of the world grows, companies within the energy industry are increasingly relying on consulting organizations to support their business. One such consulting organization, the Wood Group, provides operations and maintenance support services for the oil and gas industry. However, the paper-based system their contractors utilized for time and billing was becoming overwhelmed by the demands placed on it. 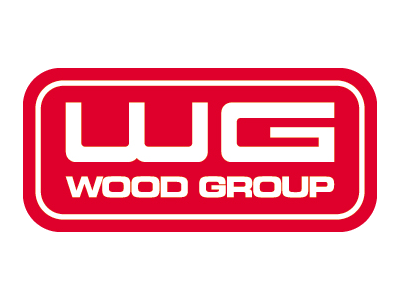 The Wood Group provides services to multiple companies, each of which has different requirements for time tracking, thusly they launched an initiative to find a Web based time reporting system. TrackerSuite.Net was one of the solutions that the Wood Group decided to review. Several aspects of TrackerSuite.Net appealed to them: the integrated nature of the product modules, the speed and flexibility of its Web forms, and its ability to integrate with mobile tools including iPhones and BlackBerry devices. A pilot program was arranged for a small number of users, with TrackerSuite.Net modules including Project Tracker.Net and Time Tracker.Net. The Wood Group had several specific needs for the timesheet format, which were easily configured within Time Tracker.Net. The pilot users enjoyed their ability to quickly and easily select multiple projects to charge time against. Managers appreciated the ability to review and approve timesheets automatically routed to them via email. The integration of mobile devices with TrackerSuite.Net allowed them to participate in the approval process wherever they were, saving them considerable time over the paper-driven process. Finally, the ability to assign GL account codes to tasks in Project Tracker.Net, helping to ensure billing accuracy, was welcomed by their accounting groups. After the success of the pilot, PAC decided to move forward with rolling out TrackerSuite.Net modules to a larger group of users and contractors, where it was well-received. As well as simplifying their time reporting process, TrackerSuite.Net offered the Wood Group other useful features and benefits as well, including project dashboards for at-a-glance reviews of customer projects, their status and progress. Timesheet compliance reports, in conjunction with "Auto Nag" email reminders for late timesheets, helped improve their overall time reporting processes and increased timesheet submission rates.